This month I finally downloaded the Scrivener iOS app on my iPad Mini. I adore my Macbook but my iPad mini is never far from my side. I have had the “MacGyver of Writing Tools” Scrivener on my MacBook for 6 years now and it is hands down my favourite writing software. But it had one drawback, it did not have an iOS app. Until now. So until now, and because my iPad mini goes everywhere with me, I wrote on the Write for iPad app and then copied and pasted from the Dropbox sync folder into my Desktop Scrivener. Until now. Until this month. 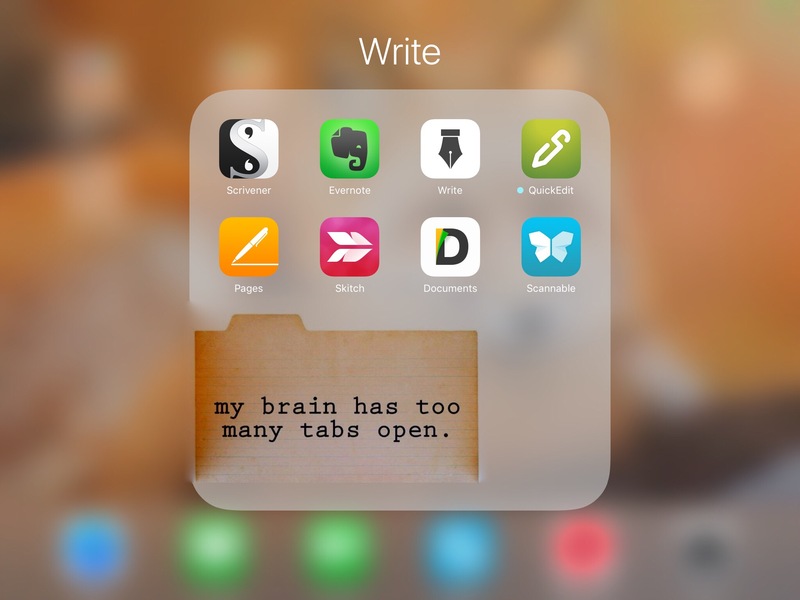 At the beginning of this month I finally downloaded the magical Scrivener iOS app. WOW! I’m not sure what I was really expecting but I had thought the iOS version would be a bared-down-minimal version of the desktop version. I was right and wrong. Yes. 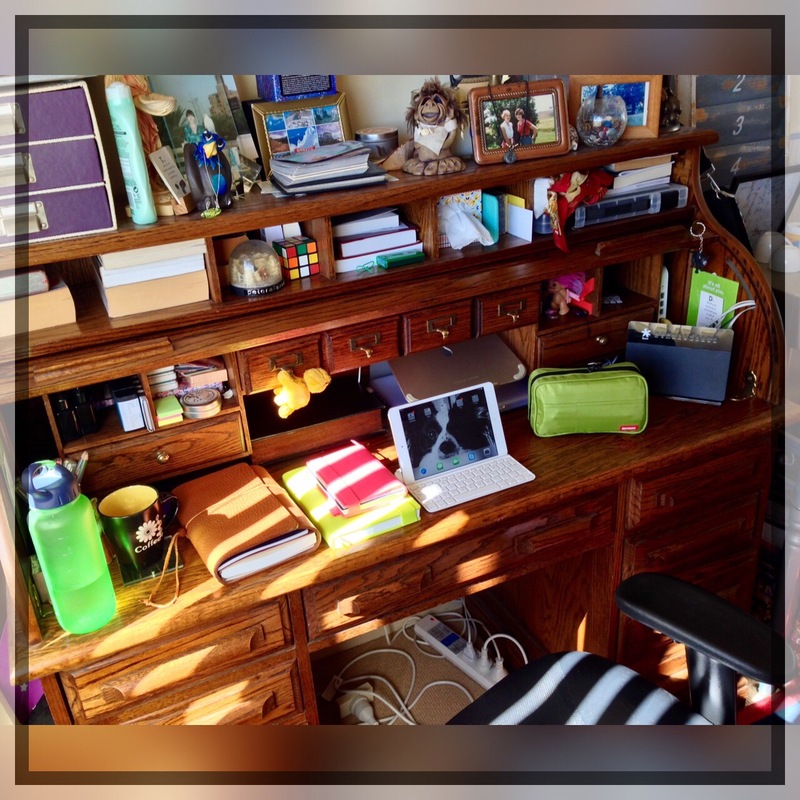 In that it is a minimalistic, distraction-free and beautiful digital writing space. No. In that this is the Full Monty of Mobile apps. This is not a “mobile” version in that it lacks from the desktop. It is a “mobile” version purely because it is 100% Scrivener on a smaller screen. Finally I can write on the go, anywhere and it is synced through to my MacBook Scrivener. No more copying and pasting. All my research/drafting/edits/notes at my fingertips whether on my MacBook at my desk, or on my iPad on the go. As much as I love Scrivener and love my digital technology, I can never say no to the delicious lure of new stationery. For me paper and pens are my essential favourite things. I am especially obsessed with the magic of Tomoe River Paper. Since getting into the world of fountain pens I realised the many different qualities of paper. My first experience with Tomoe River Paper was through my favourite planner: Hobonichi. Tomoe River Paper has three amazing features: It is all Ink/Watercolour friendly, it is very thin, smooth Paper and it shows off sheeting fountain pen inks. Then I heard about Nanami Paper. An online maker/supplier of notebooks and stationery, most importantly they made big notebooks full of Tomoe River Paper. The only issues were the limited quantities available. These notebooks are so amazing that the minute there is availability they are sold out by the second minute. So I have waited patiently until there was stock available. 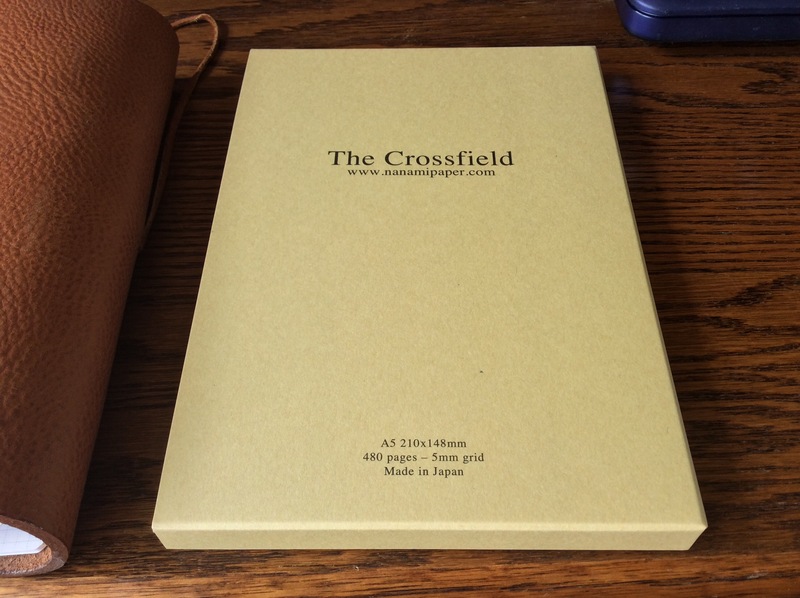 Finally I was able to snag one of these elusive notebooks for myself: The Crossfield. 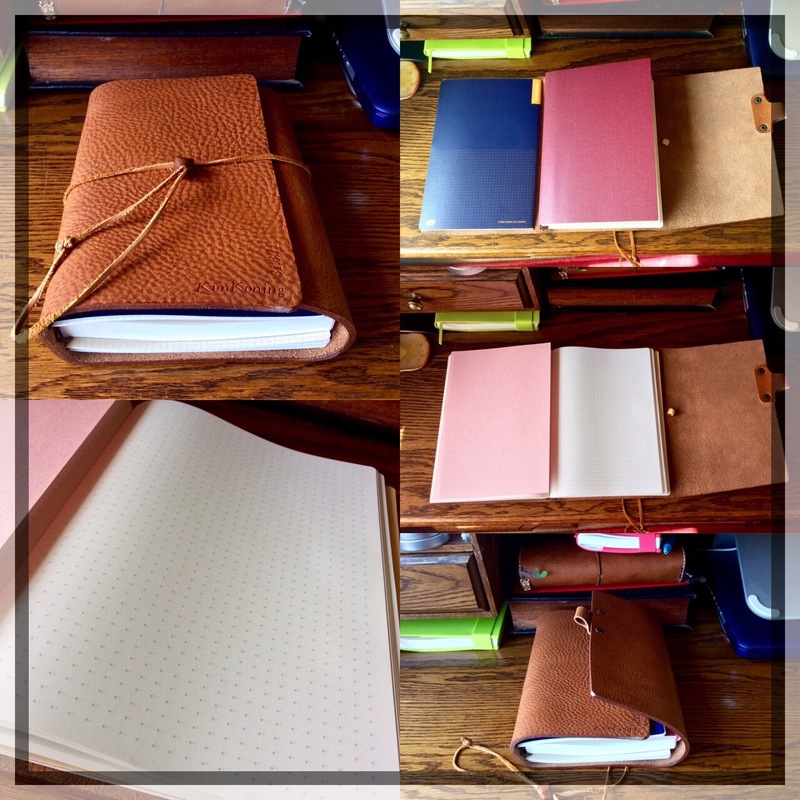 There are three different types of Seven Seas notebooks. The Standard, the Writer and the new Crossfield. The Standard is blank Tomoe River Paper. The Writer is lined Tomoe River Paper. Both of these options are an ivory coloured paper. The newest Seven Seas notebook is the Crossfield. This is an open-cross-grid Tomoe River Paper and the colour of this paper is white. I tend to choose either blank or grid paper and prefer white paper over any other colour so the Crossfield was the perfect option for me. Another fantastic feature of this notebook is that it is a 480 page notebook but the magic of the Tomoe River Paper is that it is exceptionally thin paper so the notebook itself is not much thicker than one of my hard-backed moleskine notebooks. The Crossfield comes in the A5 size which is my favourite drafting notebook size. Oh, I’m geeking out on Nanami Paper- those notebooks are GORGEOUS! And what great news about Scrivener. I’m in need of a new computer and was thinking of replacing my MacBook with an Air, or Air + iPad mini. So wonderful to know Scrivener syncs with everything! Isn’t Nanami Paper a delicious rabbit hole?? Love them. Loving my new notebook. I too desperately need a MacBook upgrade (mine is a grand 8 years old). I have my eye on the new 12″ MacBook. But will have to wait a bit for that. Hence why I downloaded the ScriveneriOS app. I do adore my iPad mini for ease of use, portability and battery life. It goes everywhere with me. I can’t quite believe what an amazing job the Literature & Latte team have done with the iOS version of Scrivener. Seriously highly recommend it. Let me know what you end up getting from Nanami Paper. I prefer to use my MacBook purely as my workhorse for writing. I tend to keep it offline and only go online to backup/sync. That way when I sit down with my MacBook I am in focused work-mode. Whereas I use my iPad mini for everything: Email, Social Media, Calendar etc. Also because of its perfect size/portability it is always with me. So having the ScriveneriOS app on it now to update my WIP when on the go is fantastic. Will be interested to find out what MacBook /or iPad you end up upgrading too.